100% Essential oil CEDARIt tones the nervous system, eliminates anxiety, increases mental and physical activity. Aromas of cedar Atlas has antiseptic, anti-inflammatory, bactericidal effect. It tones the nervous system, eliminates anxiety, increases mental and physical activity. Eliminates psychological discomfort, restores a sense of confidence. 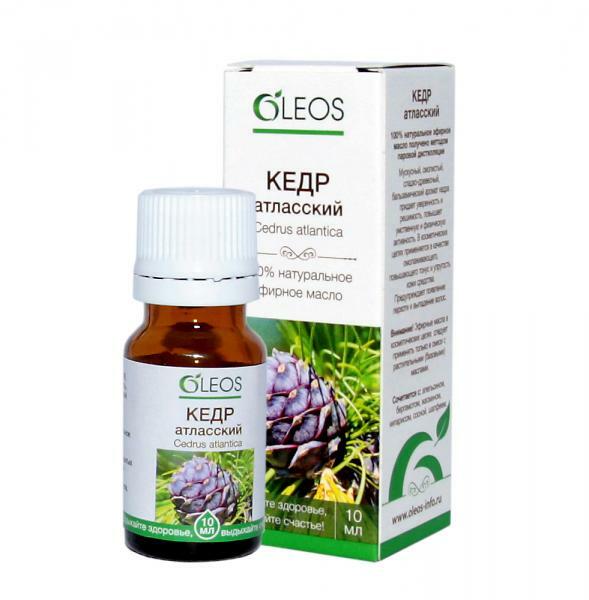 Cedar oil accelerates the renewal and energy recovery from diseases and nervous tension. It's exciting, warm, enhances sexual emotions. Fits well with the aromas of sandalwood, pine, rosewood, sweet flag, clary sage, vetiver, ylang-ylang, grapefruit, bergamot, jasmine, juniper, rose, cypress, patchouli, rosemary, verbena, neroli.